October is Breast Cancer Awareness Month. In support of promoting awareness and early breast cancer detection, Avon launches the "Pink Minute" campaign. What the significance of pink minute to breast cancer? The pink ribbon connotes breast cancer awareness and it takes only 1 minute to save us, women even the young ladies from breast cancer. I missed the intimate gathering hosted by Avon last week yet there's no reason not to support this endeavor and reach out to women who are still afraid to do the breast self-examination. 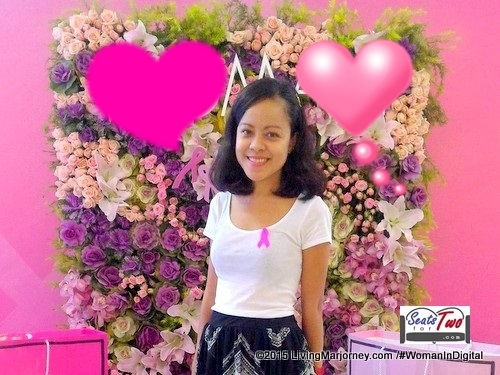 Avon Philippines stressed the importance of this campaign and launches its 2017 Kiss Goodbye to Breast Cancer (KGBC) campaign, in observance of Breast Cancer Awareness Month in October. KGBC is now on its 15th year in the Philippines. This year, Avon Philippines’ KGBC campaign focuses on the importance of taking a “Pink Minute” to make breast self-examination (BSE) a part of every woman’s habits. Philippine Cancer Society, Inc. (PCSI) Executive Director Dr. Rachael Rosario emphasized during the campaign launch that while breast cancer has yet to find a real cure, early detection through BSE is the closest thing to enabling women to win the fight against the disease . PCSI has been a long-time partner of Avon’s KGBC advocacy, with the Avon-Philippine General Hospital (PGH) Breast Cancer Center as the beneficiary. The Pink Minute campaign supports Avon’s global Breast Cancer Promise, a renewed multi-year commitment to educating women about breast health that builds on its legacy of supporting the breast cancer cause. Avon globally will work with a host of educators, partners, health organizations, and experts to deliver greater public awareness of breast cancer and make sure every woman knows how to take action. During the launch, Avon also presented the facts that came out of the recent Avon’s global survey, which involved 19,000 women respondents. The survey revealed that 73% look out for changes in their breasts, although they are not confident as to what signs lead to breast cancer. The respondents revealed their lack of knowledge about breast cancer, with 30% saying they haven’t received any information about the illness. In fact, 25% of the respondents believe a lump is the only sign of breast cancer that can be detected without using any medical device. When asked if they would go for a medical advice for a check-up, 60% of them said they would hesitate for reasons such as embarrassment, fear, and lack of access to a doctor. 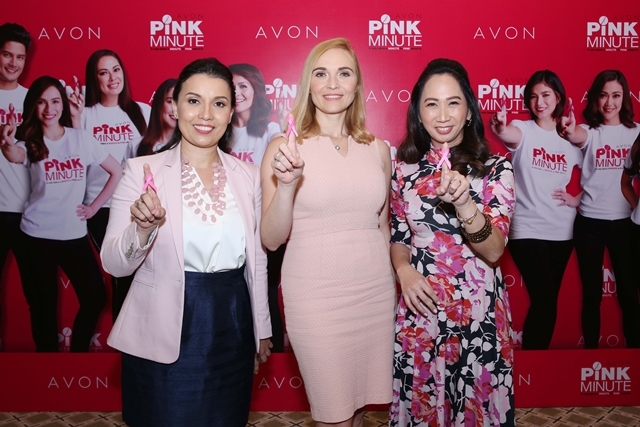 Aside from raising awareness around the importance of early detection of breast lump, Avon Philippines’ Pink Minute also aims to raise funds and provide free consultation to women in the whole month of October. Those who wish to know more about how to properly do BSE, get free consultation, and know more about breast health may dial the Pink Minute hotlines 0917-155PINK (Globe) and 0928-524PINK (Smart). Since its launch in 2002, Avon Philippines has raised close to Php 24M through product sales, donations, and walk/run events in support of the advocacy program. This year, Avon’s Sweet Honesty Promise Eau de Toilette Spray and pedometer watch are the participating products for the fundraising. Help Avon in this advocacy, visit www.avon.ph or like Avon Philippines on Facebook Page for more details. Let's spread the news.